Forquer Heating & Air Conditioning has partnered with Virteom to engage our customers and users in our heating and air conditioning services and the technology behind the scenes. In this video, Jacqui and Jim Sr. discuss preventative maintenance for your furnace and air conditioning. Watch or read the transcription below! Something I really hate is when it's the middle of the winter and my furnace stops working. You have to bundle up with blankets and it's downright cold. How do I avoid furnace failure? What do you find that is the cause of this? What should I look out for? One of the main things we look at when it comes to preventative maintenance of your furnace and air conditioner is dirt. We find that dirt is in the wrong places. First of all, you're never going to suffer a breakdown when it's convenient. We never get a no heat call in the middle of July, and I never get an air conditioner breakdown in the middle of December. It's always going to happen at the worst time like Christmas Eve or New Year's Day. Most of these calls are very preventable. Most of our problems come with dirt in the wrong places. In a furnace you can have dirty flame sensors or dirty burners. We’ve found that customers are usually pretty good about changing their filters, because that's the one thing they can control. But dirt in the wrong places doesn’t just refer to your air filter. Dirt can build up in condenser coils, and block drains. We have even pulled mice nests out of electrical boxes. Critters like the build things in those outdoor units, so a regular preventative maintenance program would help solve that. How often should I have Preventative Maintenance on My Furnace and Air Conditioning? We usually recommend preventative maintenance in the spring and in the fall, that way we’re servicing for both the heating and the cooling. That way we'll head off that…. we're catching dirt before it becomes a problem, and it's really the best way to go. 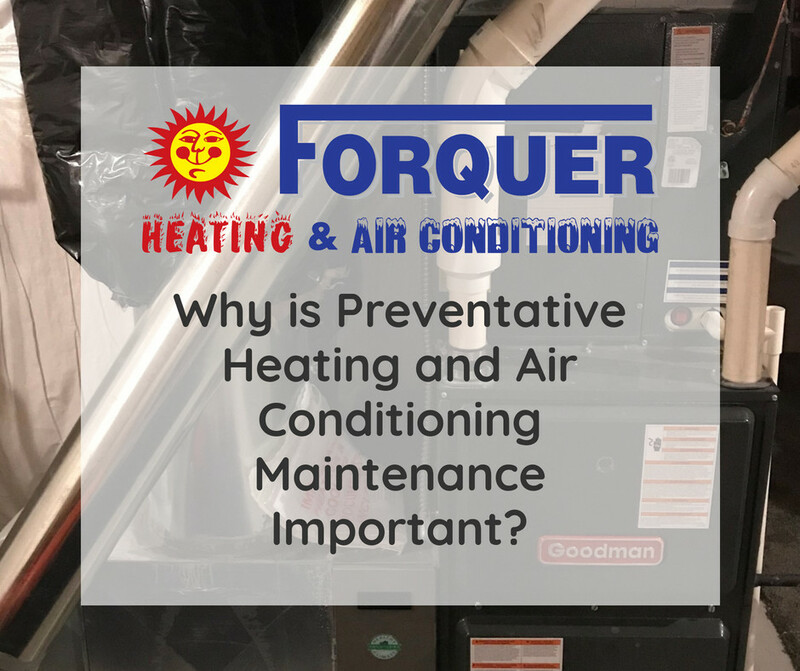 What else does Forquer Heating and Air Conditioning do for preventative maintenance? We're checking the safeties for the furnace, especially gas fired furnaces. We want to make sure we have combustion analyzers, we want to make sure that furnace is burning to the utmost efficiency. We want to make sure you're safe for the air conditioner. We want to make sure you're operating at your peak efficiency and you have plenty of refrigerant in the system. We want to ensure your air conditioner is clean: an air conditioner is sized for 90-degree outdoors. On an 80-degree day it may be cooling your house, but it may be costing you twice as much to do that. It may be wearing components out. We’ll check out your compressor: your compressor may be taking it on the chin because it's running hot, and you aren't even aware of this because all you care about is knowing that it's satisfying your thermostat. A good preventative maintenance program will find all these things out and correct them on sight. If you are in the Akron or Canton area and want to prevent furnace or air conditioner failure, give Forquer Heating and Air Conditioning a call (330) 630-2645. 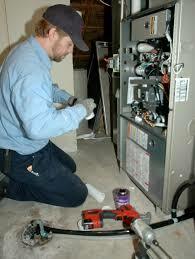 His team will be able give you the full details on their preventative maintenance program. The Forquer Heating and Air Conditioning team can help you avoid those costly failures and save money, and have a healthier house have a comfortable house.